To celebrate its 10th anniversary, Marc by Marc Jacobs has released a range of limited edition iconic pieces. 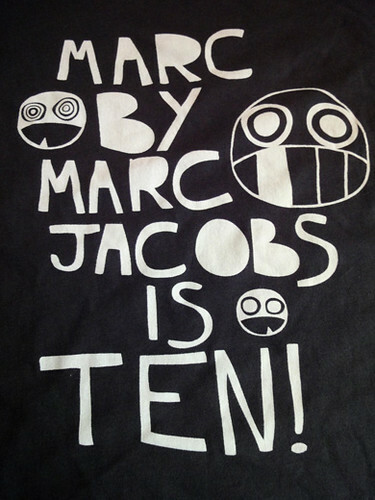 I love the‘Marc by Marc Jacobs is Ten!’design. I’m sure it will complement my casual wardrobe. This tee is really cool!